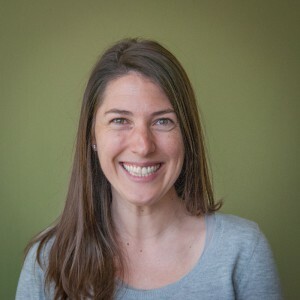 Before she came to Teachstone in 2009, Betsy worked as an event planner for a Fortune 500 company in Washington, D.C., a teaching assistant in Fairfax County Public Schools, and a preschool teacher in Charlottesville. At Teachstone, Betsy has been able to bridge her business experience and love for education. As Business Operations Controller, Betsy works with our staff to improve our business processes and systems across the company to ensure Teachstone provides high-quality programming that is sustainable. Betsy‘s talents are as numerous as they are varied. She’s a ballet dancer and a former singer and has quite the flair for making lists (a talent that serves her well at Teachstone). Betsy earned her BS in Leadership and Consumer Economics from the University of Delaware. Southern Utah University Head Start (SUU HS) is located in Cedar City, Utah and supports 21 classrooms across a large geographic area. It is funded through Head Start and managed through Southern Utah University. Gynna Garrett is a pre-K teacher in Bartow County, GA. As our September Teacher of the Month, I asked Gynna what makes her classroom unique. Many of the teachers I have had the pleasure of interviewing have talked about the challenges they face in the classroom like guiding and managing behavior or maintaining enthusiasm for their work. Tracy Howard, our August Teacher of the Month talked about another challenge she ran into—a classroom full of children who didn’t speak English—and how she worked through it. Maria supports dual language learners (DLL) and talked to me about how she got into teaching, what is so critical about supporting DLL, and how she thinks about CLASS in conjunction with other assessment and monitoring tools. When I began looking for a child care program for my daughter, I was confident I would find the best school for her and that my years at Teachstone would guide me in finding the perfect program. It wasn’t that easy. We focus a lot on how to help teachers once they are in the classroom, but what can we do to help prepare teachers for success before they even get into the classroom? Recently, I spoke with *Tammy, a teacher who has been in the field for three years. She explained how college prepared her for her work in the classroom, how it didn't, and what she has learned since.